Let mad beauty collect itself in your eyes. The virtue of anyone or anything is solely in our perspective. See gold, and there is gold; see lead and there is lead. 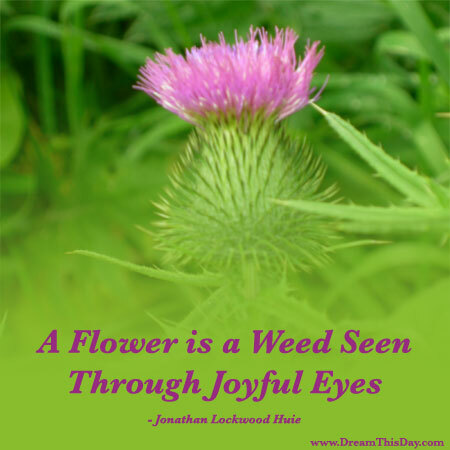 If you see this thistle as a thorny nuisance, then it is a weed. If you appreciate its bright pink bloom, then it is a flower. It becomes what you name it. The power is in your choice, your perspective, your speaking.